Many thanks to Andy for distributing Saturdays amazing results. I’ll reiterate part of them here as I’ll use them as the basis for the round-up email and blog article. Saturday was the Cheshire County Cross Country Championship which saw Jayne Joy finish in third position and securing her selection to represent the county in the inter county championships later this season. Jenny and Jane were also given county forms to fill in. 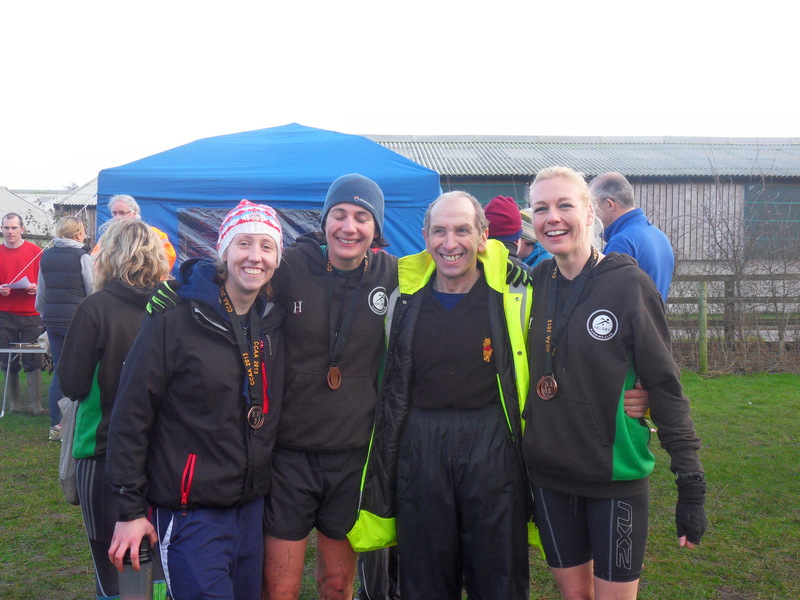 The Helsby ladies team also scored a third team position in a closely fought contest with only 5 points separating the top 4 teams of Vale Royal, Chester Tri, Helsby and Wilmslow. The ladies and men’s courses were slightly different in distance but utilised the same parts of the area. Very muddy field made contouring corners difficult and parts of the fields were very wet to sap energy but this was a good course for spectators who could watch a lot of the race from one or two locations. It was great to see how much effort everyone was putting in and I think Helsby ladies are punching well above their weight for the size of our club, something we should all be proud of. Jayne’s results is a perfect example of what hard work and dedication can achieve. Representing the men at the Cheshires were Adair, Steve and Andy – although with less glory than the ladies. There was also fantastic support on the course from Richard and Rachel, Phil and Helen, Jenny’s parents and of course Joe and Mario. Colin Thompson and Tom were out on Saturday at the Halewood 5k (free race 1st Saturday of every month) with 41 runners out in total and Colin writes “No PBs for either of us but we still had a solid race on a nice course”. Tom also ran Sunday so well done to Tom for his double that weekend. 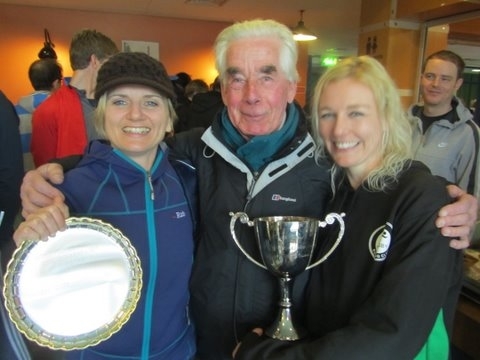 Sunday was the final Sunday league cross country event, held at Walton Hall Park in Liverpool, where the joint Helsby, Lymm, Warrington RR ladies team won the series trophy for the second consecutive year with Jayne winning the ladies individual trophy. Once again, a terrific performance from the ladies over all the races. Both Lesley and Jayne were in the top half of the field for the 5.25 mostly flat course and Helsby had two men in the top ten which bodes well for next season. It was also a bigger field than the previous race with 132 men and 51 ladies. Well done to all who ran, especially those doing the double. A strong performance by the men saw them 4th team on the day (rather than the usual 5th). Let’s build on this for next year! If you know of any other races I need to add just send me the details. It’s definitely time to start thinking of your favourites as over the next few weeks we’ll hopefully get the summer calendar sorted. By summer, we mean from March to November! If anyone would like to add their choices for the Long Distance Trail Series please let Andy Robinson know too.